This site is site is in no way affiliated to or authorized by Lucasfilm Ltd. All the images found here are protected by copyright. They are displayed for entertainment & eduction purposes only! All names and references : Star Wars ™, The Empire Strikes Back™ and Hoth™ are protected by copyright, owned by Lucasfilm Ltd. All Rights Reserved. For official Star Wars news, please visit www.starwars.com. 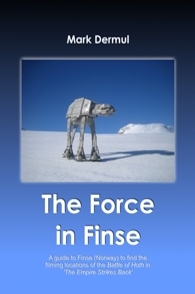 The remaining text about Finse is protected by copyright, owned by the webmaster, Mark Dermul. The photos of Finse today are the property of the Hoth Hoppers, who have allowed me to use them on this website. I am very grateful that I can show them here. Please be so kind as to NOT copy any of the text or images from this site without providing a clear and unmistakable link to this website as both text and images are protected by copyright. You are free to use them, as long as a link to this site is crystal clear.